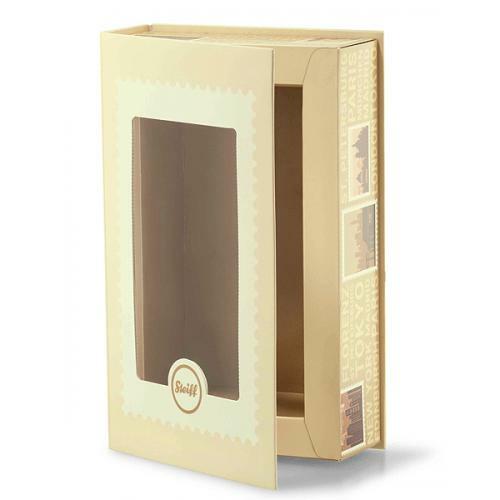 Steiff Great Escapes Munich Bear in Gift Box is from the Steiff Classic collection and made in beautiful honey mohair. 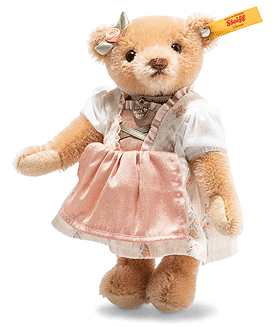 This honey-coloured Teddy bear has five joints and is dressed in a dirndl. The apron is made of pink silk, while the necklace with heart pendant and the lacing over the chest are made of green satin strips. The dirndl is not removable. A dainty little flower with an apricot shade and a bow beneath it adorns her right ear. Her nose and mouth feature brown trim, while her soles and paws are made of felt. 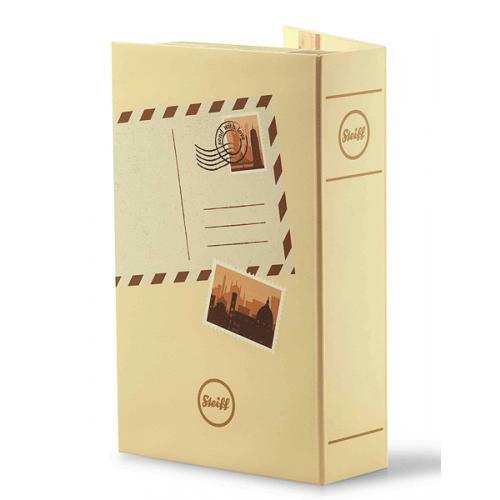 This Teddy bear is accompanied by the lovingly crafted gift box in a book design featuring its own Japanese flare and a postcard as part of the package.